On a recent flight from Zurich to Dubai, I had a couple from Switzerland sitting next to me going on their honeymoon to Réunion. They asked me where they could find the movies in German. They wouldn’t understand English, not to mention have any interest in the selection of Arab, Hindi, Telugu, Punjabi and what not, even with subtitles. When the stewardess offered them a cake and Prosecco they took a sip and refused the rest. It was clear that they felt very uneasy interacting with anybody they did not find familiar. And the multilingual Emirates crew who proudly announce in a number of languages they can speak – many of which Europeans have never heard of – was hardly familiar folk. These travelers were typically central European for their early thirties and with a University education or the like. But they are from what is considered – and they see themselves while traveling around the planet – the globalized West, while at least the poor from the ‘East’ (where they go to for enjoyment) are stuck in their locale. In the following 48 hours alone, from Dubai to Peshawar and on to Lahore I came across people who, with their stories of globalization, made me think of that discrepancy in perception. Waiting for my connecting flight, I sat next to groups of people from Sindh who had just returned from the Umrah, bound for Karachi (I like to believe, that the Shi’a group returned from Iraq or Iran, but I had no chance to ask them). The lady next to me balanced her suitcase on the head, making no difference of practice at home or at the Dubai airport. She also ordered water at the Coffee Shop like it was the local paan shop. Nobody was too excited about traveling abroad; it was something one had to do, even if not an easy thing to afford. 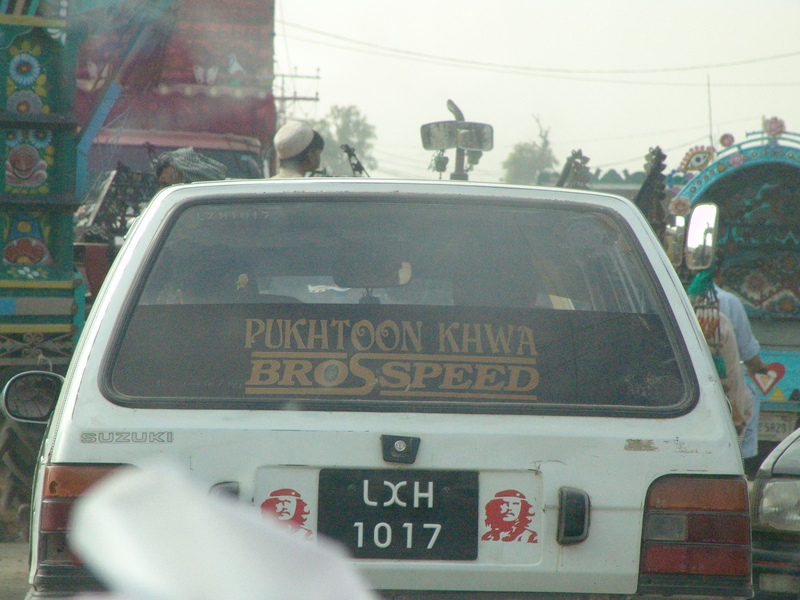 In an area south of Peshawar towards Orakzai we were talking about the change of demography. 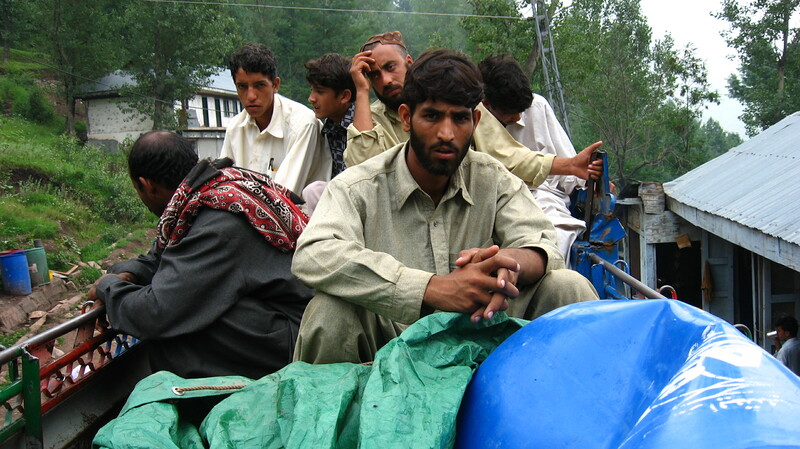 There has been a recent influx of refugees from the areas in FATA where the Pakistani Army is moving in. Thirty percent of the people in the area lives as tenants. This is a very high number for a rural area and is due to economics; many people here live as bonded labor to brick kilns and also because only a relatively small number of refugees inhabit the camps. Many stay in other people’s houses. Some Pakistani refugees who moved into the area inhabit houses left vacant by Afghans for the summer. The Afghans living here, of course, are mainly ‘refugees’ themselves. Many live with that status for decades and have practically settled and found a home in which to live. In the summer, when the heat is scorching and the rains make brick production impossible, people move either north or back to Afghanistan for work. The flux is kept up constantly and reaches much further than just between Paktia, Peshawar and Abbotabad…to Karachi, the Gulf, India, Central Asia, Europe, the US and practically anywhere else. Waves of refugees and labour migrants determine the social reality of life in Afghanistan ‐ perhaps more so than anywhere else. The intervention which has been on‐going since 2001, has barely considered this high spatial mobility in its conceptual planning. Where it has been noted, it tends to be perceived as disruptive. This article intends to demonstrate the extent to which forms of migration affect the lives of Afghans and should be taken account of in plans for the future of the country that go beyond the dominant state‐building model. Another example, that of a family from Lower Dir in north Pakistan, shows the migration strategy of a family that can be reckoned to the educated middle classes. 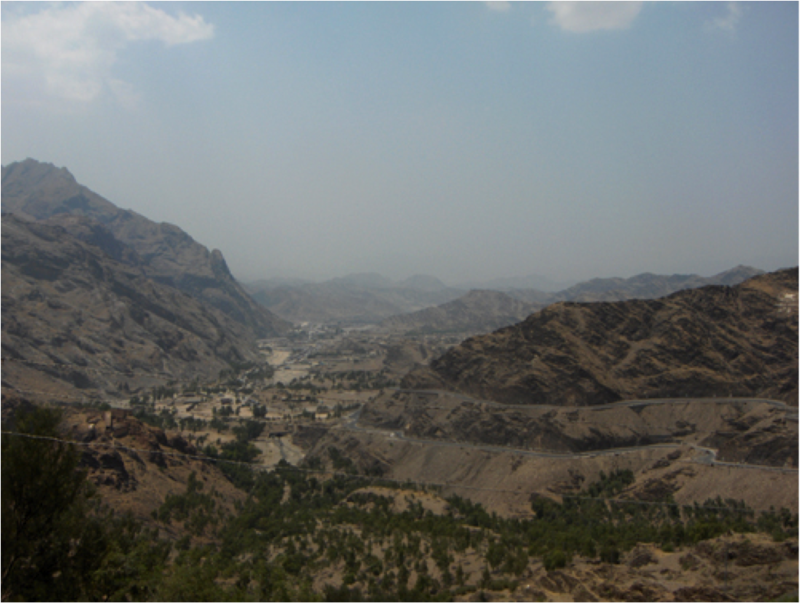 Part of the family moved from Lower Dir to the neighbouring district of Bajaur at the beginning of the 20th century. Several members of the family subsequently moved from there to Kunar in east Afghanistan. In the late 1940s, part of the family moved to Archi, on the Afghan-Tajik border, when they were offered land there. [...] All the women in this extended family live in Lower Dir. 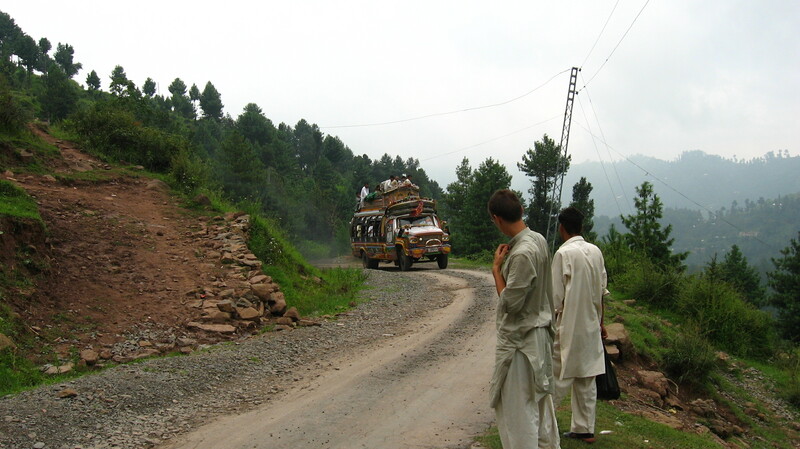 When violence escalated in the Swat valley in the spring 2009, the female members of the family were all brought to Kunduz, but they are now already back in Lower Dir; this shows, yet again, that the border between Afghanistan and Pakistan is not seen as a barrier to spatial mobility. This case, moreover, illustrates nicely the concept of the competence network Crossroads Asia. Conversing with Pakistani craftsmen, drivers, soldiers and cooks from the Pashto-speaking parts of Pakistan during work, I was often interested where exactly they hailed from. ‘Peshawar’ was often the simple answer – for one, because it is assumed that ‘Dir,’ ‘Charsadda,’ or ‘Batkhela’ wouldn’t really tell me much, but often ‘Peshawar’ really was what they meant to say. A certain perimeter around the city (and I am not sure to what extent and how that changes for different people, for some native Bajaur or Kohat would still be ‘Peshawar’, others only took the city to Hayatabad) is regarded as justifiably referred to with this urban summary. I don’t know Peshawar and its surroundings well enough to make further statements on this, however I never met a person from Okara, Nankana Sahib or Muridke for that matter who would say he or she was from Lahore. More interestingly is the notion however of the space that lies beyond the city. 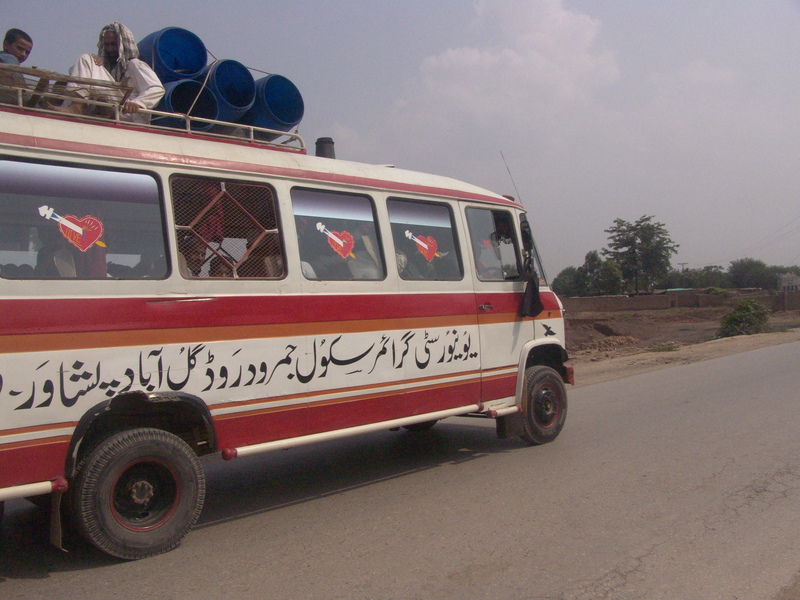 Not only for our driver during work in Kashmir whom we knew very well and very well knew us, was I coming from a place ‘Peshawarse pichai‘ [from behind/beyond Peshawar]. And there it really did not matter whether that was Mashad, Innsbruck, or New York [I am not sure whether this 'beyondness' extends over the Pacific, I assume Beijing or Tokyo would be rather considered this side of the Khyber Pass]. In any case, this may be an indication, of how the native space is regarded by some people from the area (this is an observation limited to a certain stratum of society). I have pointed at one phenomenon of the porous Durand Line, stemming from my experience with patients from our hospital close to the refugee camp Shamshatoo 2. Here I want to briefly look at another aspect of migration of Afghans into Pakistan and beyond. While it is popular to write of the alleged presence of the Chinese in Pakistani-administered Kashmir, it is Afghans who really have a say in business there. After the earthquake in 2005, the complete tractor business (that is transport of building material) was in the hands of Afghans who had lived here since long ago…one can only imagine why they originally came. Organized according to the places they hail from in Afghanistan, they today control many garments, carpets and utilities shops, linked up to warehouses all over the country in the hands of other family members (just as Schetter portrays). When the construction after the earthquake quickly subsided, they were a lot more flexible than local Kashmiris adapting to new jobs. When demand decreased significantly in their field, they would move back to Afghanistan for a few weeks or months and drive tractors there or follow up on another job. In the Afghan’s carpet shops letters and photos of female Swedish NGO workers are passed around while a family member just returned from Waziristan talks about his experiences with a Mehsud lashkar which he left to take some days off in cooler Kashmir. As Bernd Glatzer explains 3, the Afghans here ‘consider Pashtuns from beyond the Durand Line as first and foremost Pakistanis.’ Even though their counterparts in construction would often consist of Pashtuns from Khyber Pakhtunkhwa (the daily-labor construction business is in the hands of Pakistani Pashtuns who lived in tents for the weeks they would work, only to move on or return home when they had earned enough), the Afghans had little to do with them. 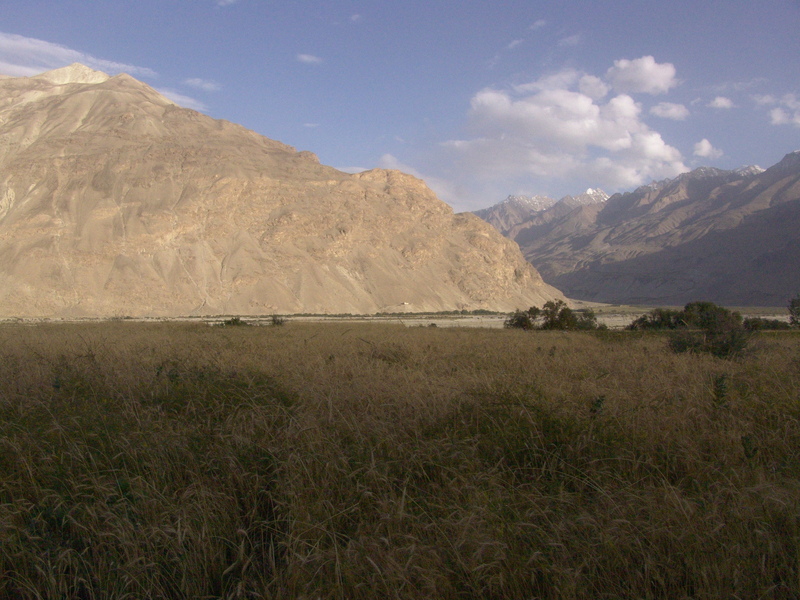 The place in Afghanistan (sometimes down to the village) would matter most and, after that: Afghanistan. After that Pashtun identity, much later somewhere the fact that they are Muslims just like the Kashmiris. Many a young political science student who has acquired the necessary “local” and at the same time “international” experience with a stint at some think tank in Kabul or Islamabad, pities the civilian drone strike victim who before his demise in collateral damage hasn’t even seen the world outside his remote lands. But Provincialism and Internationalism is often quite on the opposite sides as that resume builder may think. On my way from Islamabad to Urumqi, Xinjiang, and back in 2009 I was in flights with many traders from Bajaur Agency, one of the Federally Administered Tribal Areas north of Peshawar famous for allegedly being a hideout for Ayman al Zawahiri. I got to talk to some of them while filling out their immigration forms at the Chinese border. None of them could write, and they all had the same birthday, on the first of January. There, the border guards let them go immediately – and yes, they were all clichéd bearded men in tribal attire – but kept me confined for nearly an hour. The guards were extremely suspicious about a European who came in just after riots had broken out in the city. Of all things, on the flight back, a one eyed Bajauri was most interested in a remote controlled helicopter which he finally acquired for his kids back home. I hope it still flies today somewhere over Domodollah. Later this year while in Lahore, I sat at the carpet shop of friends which has a shop adjacent where carpets are repaired and washed. The owner of this place got all of his employees from his home area, Hazara north of Rawalpindi along the Indus. 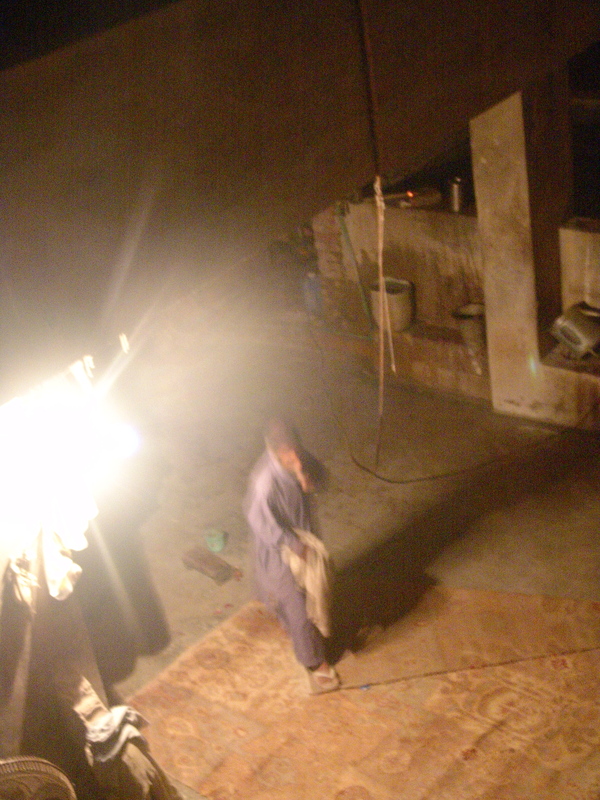 Sitting with one young Hindko-speaking Hazara guy carrying rugs to the rooftop for drying, an older man joined – a Pashto speaker from the same area. He asked me where I was from, but at ‘Europe’ only retorted ‘Saudi?’ each time, until we gave up. He had no clue and did not care where or what ‘Europe’ was. He had come to Lahore from Mansehra in search for work and was sitting at the train station each day waiting for someone to hire him. His son, a rickshaw driver in Karachi, was pressuring him to save money for the son’s wedding. He was distressed, this day he had barely made 200 PKR and it was one of the better days. He could sleep at the rooftop for free but the young guy assured me, his case was hopeless with so much sorrow on his mind and at his advanced age. To cheer him up and divert his attention from asking me whether I would take him to that ‘Europe’ (which must be like ‘Saudi’) to get work, the youth told him of another place he should go to – ‘Hindustan’. It was close, 20 minutes to Waggah, and had many Muslims as well. The Pashto speaker was interested, he had never heard of that place, but if one needed day-laborers there, he would consider. But there was a new day tomorrow to hope for the better at Lahore Train Station, and he shuffled off to the roof to catch some sleep. The train I sit in, writing these lines, crosses the border from Austria to Switzerland. Checks are extremely strict and regular, everyone not looking 100% Caucasian has to provide a passport. I saw many people led from the train in handcuffs. They are sent back to Austria, where depending on their “home” country are either detained or deported, but I assume mostly just let go. Last year alone, three Afghans were deported in this manner. Last time, one of the border guards – who was hardly able to fix the useless handcuffs – was interested in the story of his detainee, especially how much it cost him all the way from Afghanistan to Buchs, the border village. The guy answered in flawless English, ‘15 000 Euro afforded by the whole family’. That was an amount difficult for even the Swiss Border Guard to comprehend 5. Jakob Steiner writes most often at RugPundits.com. He has a background in both music and in engineering. A printable (.pdf) version of this story can be found here. © 2012 The Tuqay. All Rights Reserved.